ARP-3600-E01 is among the panel PC range from Arista, designed specifically to be used in industrial automation. This panel PC thin client range embeds resistive touch functionality, ideal for use in healthcare, pharmaceutical, food industry and many more. Apart from giving real-time accurate results, this resistive-type touch screen is affordable and a great alternative to expensive solutions available in the market. To get a quote right away email sales@goarista.com. Arista recently introduced the ARP-3600AP-E01 range of resistive touch industrial panel PC series, powered with Intel Bay Trail 1.9Ghz Quad Core E3485 Atom CP. The system memory can be extended upto 8GB DDR3 to run Windows 7 Pro and latest Windows 10 version. Touch technology for industrial equipments makes the process more robust and effective. Arista’s touch panel ARP-3600AP-E01 series offers a reliable approach to be used in different industrial environment and embeds features that are easy and secure to use. 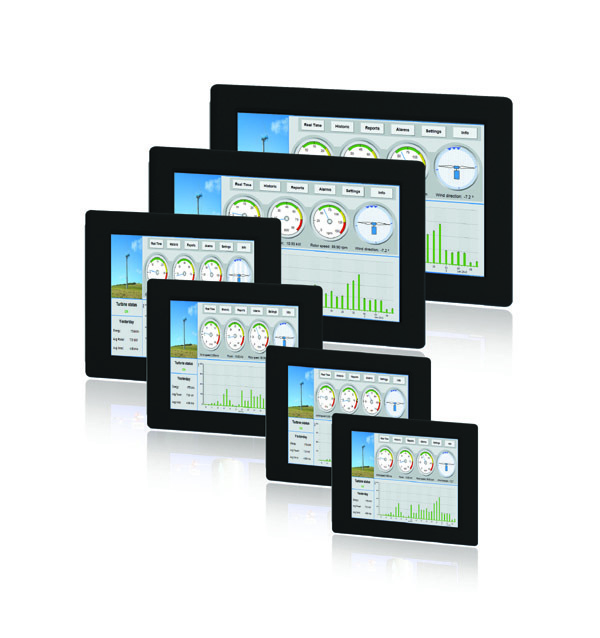 The ARP-3600AP-E01 is available in 10”, 15”, 17”, 19”, 21” and 24” inch screen sizes with 5-wire resistive touch screen. Arista’s ThinManager is one of the widely used and trusted thin client management platforms available. With more than a decade of experience in this field Arista offers and gives support for all ThinManager versions. Arista talented and dedicated Arista team gives amazing customer support and technical help in simplifying the need of managing. Find about other products here. • Three serial ports can be set to 4XRS232/422/485 in the BIOS. • Fanless,five wire resistive touch LCD display with Nema 4/4x options. • Available in black and stainless steel bezel. • Provide protection against water, dust and environmental ingress. The ARP-3700AP-E01 series encompass several storage devices like CFast, SATA DOM, SATA HDD or SDD. With two mini PCIe sockets units are able to take add-on interfaces like Bluetooth, Wi-Fi, cellular, GPS etc. With an option of panel mounting, the units are easy to operate and give utmost comfort to users. To ensure a seamless work environment, Arista talented engineers make sure all units embeds powerful technical features. Arista has a proven track record of delivering world class automation computing and industrial displays, the company allows customers to have a non interrupted work environment with elated productivity. Warranty and Support: Arista is proud to provide exceptional customer support and product maintenance available to our clients. Arista works hard to make their customers more productive and help in building a sustainable work environment. Get more detailed insight here. Arista is a pioneer in the industry of product development, engineering, manufacturing and customer support. Originally formed in 1994, Arista has offices in China, India and Taiwan. With years of experience and expertise in Industrial Panel PCs, Industrial Monitors, Box PCs & Fanless Embedded Computers, Rack Mount Computers, ACP Thin Manager Ready Thin Clients, Embedded CPU Boards and Video Extender/Switches. Arista has served customers with reliability, Integrity and Trust.